Minister Jessie W. Eady- was born to David Williams and Helen Williams in Bainbridge GA on October 18, 1961. 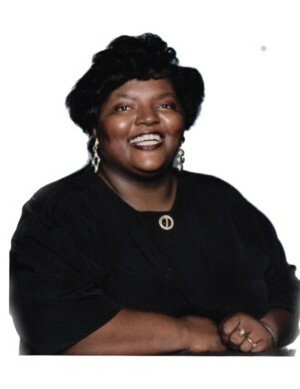 At an early age she confessed her love for Christ and joined Macedonia Baptist Church in Bainbridge Ga. She attended public school in Decatur Co. school system. While residing in Bainbridge, Ga. She met and married Jerry Eady Sr. They visited several churches throughout their union, and later joined Trinity Holiness Church, under the leadership of Pastor Gerald Footman, in Moncks Corner, SC. Together they have 3 children, and 8 grandchildren. Jessie, as time passed, graduated from Phoenix University where she received an associate of science degree in Business. She was preceded in death by two brothers, David Williams Jr. and Randy Williams. Min. Jessie departed this earthly life February 9, 2018 at the Medical University of South Carolina Hospital in Charleston, SC surrounded by family and friends. She leaves to cherish her memories : spouse-Minister Jerry Eady Sr., Moncks Corner, SC; Father, David Williams St. Petersburg FL; Mother, Helen Williams Bainbridge GA; one son, Jerry Eady Jr(Alissa) Waterbury CT; one God Son, Jack Johnson(Alisha) Moncks Corner SC; two daughters, Lizzie Booker(Darius) Franklin, VA, Jeraldine Fink (Daryl Sr.) Moncks Corner, SC; God Daughter, Melissa Paul (Pierre) Bainbridge, GA.; one brother, Demond Lowe (Shena) Bainbridge GA; four sisters, Ruby Burke (Clifford Sr.) Bainbridge GA; Katie Miley(Aaron) St. Petersburg FL; Samantha Choice Bainbridge GA; Michelle Duncan, Bainbridge GA; three devoted sisters in the Lord, Evangelist Annette, Dimeter Jo, Anne and eight grandchildren, Dalon Lee, Caleb Lee, Daryl Fink Jr., Daniel Eady, Jamya Fink, Javien Eady, Isaiah Eady, Sarah Eady, and a host of nieces, nephews, cousins, and friends.